My wife Karen and I moved to a small horse farm we named Rocking Horse Ranch in Pittstown during 2013. One of our first items on the agenda was to join the Pittstown Trail Association. We got involved almost immediately to learn new trails and make new friends and was asked to join the Board later that year. 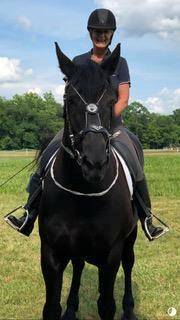 I had previously competed in Trail Paces and rode throughout Hunterdon County on my Arab Saddlebred Paint "Bourbon on Ice" until an untimely accident took his life. Now I ride at the favor of my friends and their extra horses. I love this area and working to preserve the land and our equestrian way of life. Formally, we lived in Tewksbury where I served as a Board member and past President for eleven years of the Tewksbury Trail Association. I have been involved in the equestrian way of life since the mid 90's. Karen and I belong to most of the Trail Associations in Hunterdon County and you will often find me helping one of them with parking trailers on the day of their Pace or assisting with other events. I am also proud to serve as a Board Member of the Alexandria Equestrian Association. A retired Banker, I serve on the Advisory Board of a large NJ bank and help businesses and families with their banking needs. Additionally, I hold a NJ State Real Estate license and serve as a consultant to persons looking to buy or sell residential property. I have three grown children and seven grandchildren. I am a local who grew up on a farm that raised beef, ponies, and turkeys here in Hunterdon County. I have been deeply involved in the organic meat industry for nearly 30 years, working closely with organic farmers in North America, Uruguay and Australia. Dee got me back on a horse a few years ago and now we enjoy long rides on the trails throughout the county. 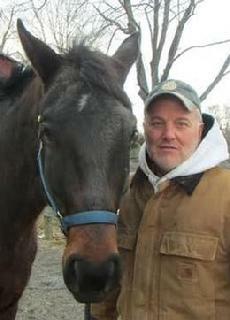 With my new equine friend Oliver (in picture), I hope to be enjoying more time on the trails with Dee. I've lived in Hunterdon County for 40 years with my husband Chris. 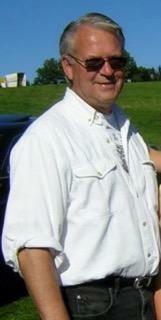 We have three grown children who all live in the area and three grandchildren. None of the grandchildren have been bitten by the horse bug yet, but there is always hope!I am one of the fortunate women who have a husband who rides. We spend many hours enjoying the Pittstown trails on our 4 horses. When we're not riding, cleaning stalls, etc. we like to kayak, bike, scuba dive and spend time with family and friends. Welcome to PTA – let’s go for a ride! My favorite view is anything through the ears of my horse! As an avid trail rider and Endurance competitor, I am happy to hit the trails any time and show you the beautiful routes of the PTA trails. I grew up on the back of a horse, and, well, things haven’t changed a bit. I moved to Union Township, New Jersey in 2007 and have been actively exploring our beautiful trails ever since. When I am not on the trail, I also enjoy Working Equitation and Dressage. On the rare occasion I am not spending an afternoon on the back of my horse, I also enjoy hiking, gardening, and baking. We cherish our slice of heaven in Hunterdon County. I started out at five years old with a naughty Shetland pony and over 50 years later I ride a Percheron cross who is also highly opinionated. During those years, I have competed in the Hunter Jumper recognized circuit and Intermediate Eventing. My daughter was raised with horses, competing mostly in Dressage and Eventing while we participated in the United States Pony Club, where I have served as District Commissioner, Regional Horse Management Officer and Chief Horse Management Judge. My goal is to ensure stewardship of our lovely countryside here and to promote safe and responsible trail riding with great horse happy people. My husband and I are expecting our first Clydesdale foal in June 2019, and are super excited about it. I moved to Pittstown 2 1/2 years ago and love the community and the area. Should have moved long ago. I am a pediatric neurologist and yes, still practicing in long Island. It is hard to give up patients that I have cared for 30 plus years. 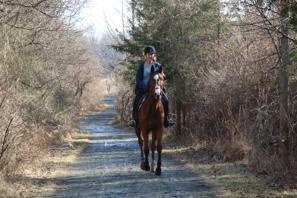 I am an aspiring dressage rider but love going on trail as well. I have been fortunate to have wonderful people from the area show me the trails and make me feel welcome. My daughter Ally rides dressage as well and when she is not at the farm, I get to ride her horse as well. Family rumor had it that my love for horses began before I could walk. This is only 97% correct as I clearly remember being two. This began a show career that led to a Reserve Championship in the Good Hands at age 11 and retiring the Manville Amateur Victory Trophy at Madison Square Garden at 18. Now I’m privileged to do what really makes me happy - to spoil our six horses (from Andalusian to Mustang) and to ride the trails with our wonderful Robin Hill boarders. While working and living in Union County, my husband David and I used to travel 2 and sometimes 3 days a week to Hunterdon County to ride horses at Briarwood Farms. We competed in many shows for 10 years. In 1999 we decided to move to Flemington and bought a farm and some horses. The commute was tough but we loved riding horses and still do, so it was definitely worth it. In 2006 we launched 'Horse Quencher' with fellow Pittstown Trail Association member Anne Kusmich and the company now sells HQ all over the US, Canada, the UK and most recently in the UAE. We decided to sell the business in 2014. We love our small farm in Franklin Township where we care for our 2 Mountain horses, 2 cats and 1 dog. We enjoy the pleasure of trail riding from our farm and participate in many hunter paces and other organized events. We enjoy exploring other trails and like riding with friends. Our six grandchildren all love horses; Grandma and Grandpa’s farm is always the most fun to visit!! What fun!